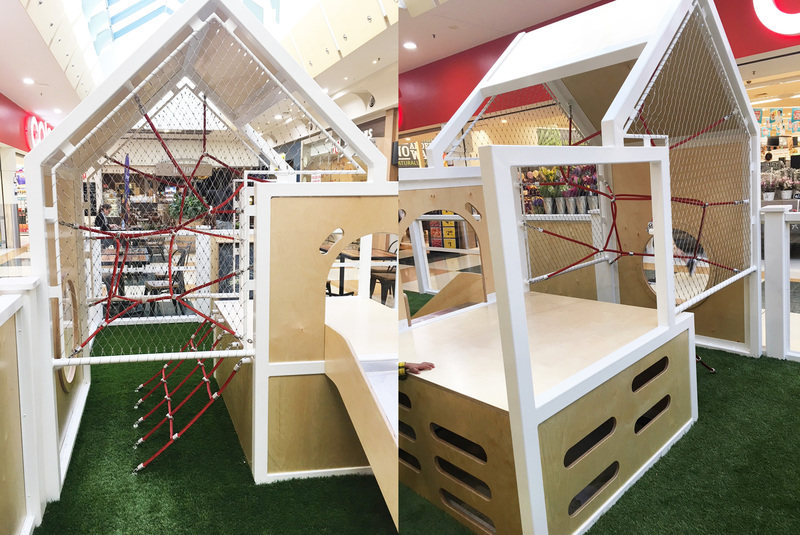 Last week saw the completion of our very first Cubby house execution at Norton Plaza. 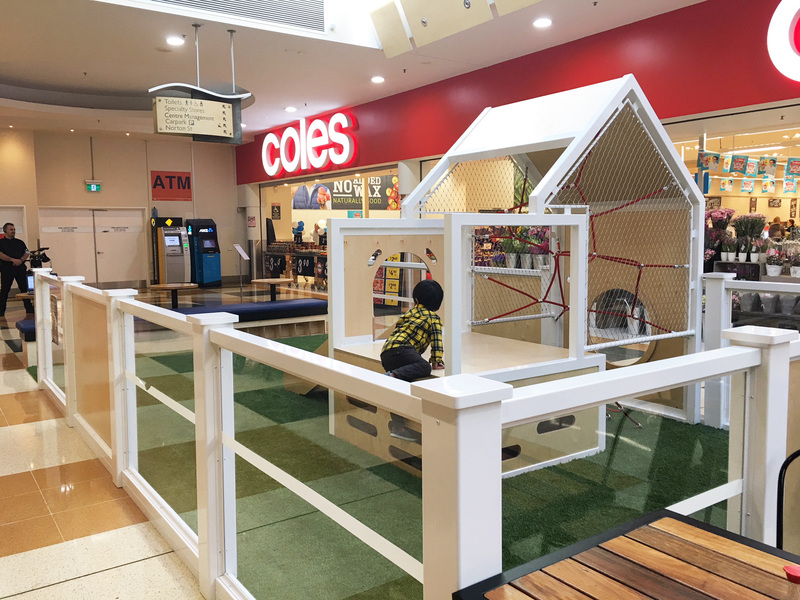 Situated in front of the bustling Coles is our newly installed play area at Norton Plaza. 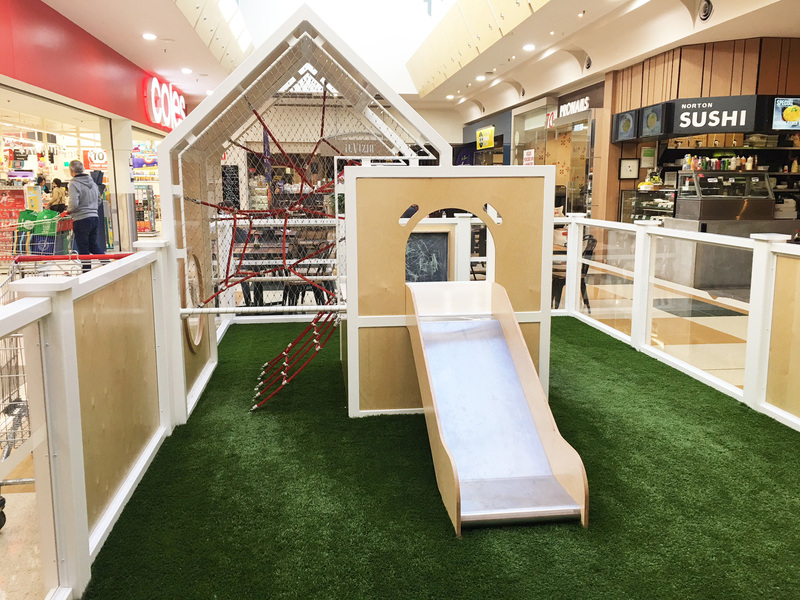 Choose to climb up using the ropes or take it easy and use the ladder, but either way the best part is, you get to slide down.